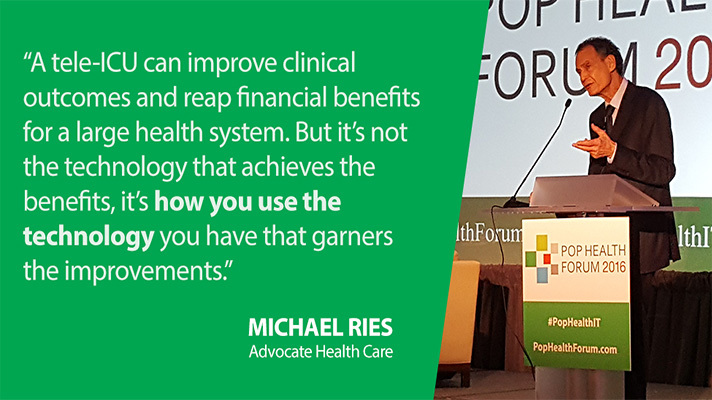 Healthcare leaders converged at the HIMSS Pop Health Forum 2016 in Chicago Sept. 12-13 to talk about the next steps in population health management – offering tips to meet the evolving demands of the healthcare industry, and sharing success stories and best practices. This slideshow highlights some of the thought-provoking discussions and debates from the forum. 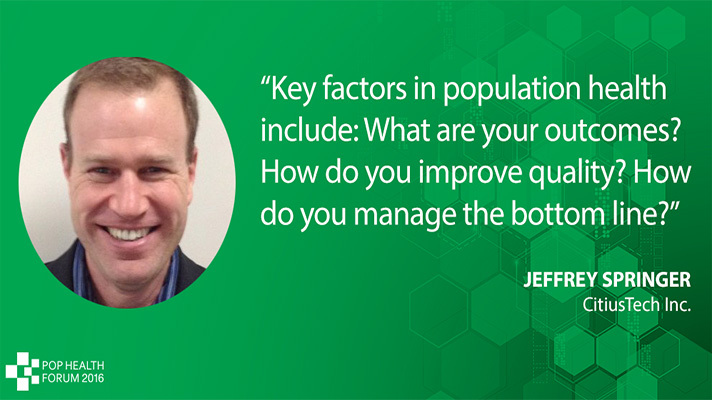 CitiusTech Vice President Jeffrey Springer said healthcare leaders may be chasing after exciting new technology systems to enable population health, but they must think beyond those to succeed. 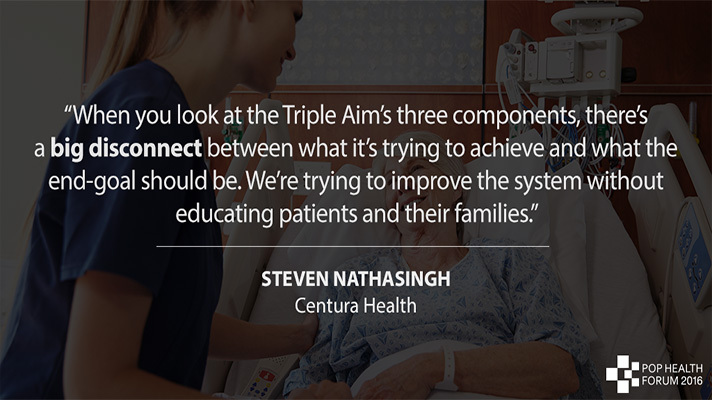 Steven Nathasingh from Centura Health believes the missing piece from the Triple Aim is influencing patients to take more control over their own health. Adrian Zai, MD, of Mass. 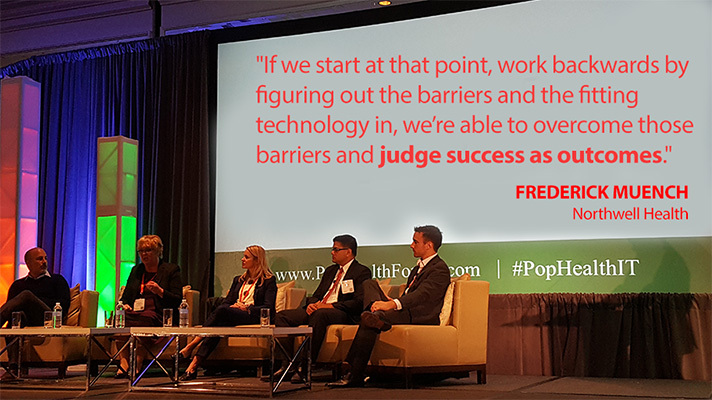 General spoke at the forum about the need for population health IT to integrate analytics, care coordination and patient engagement strategies. 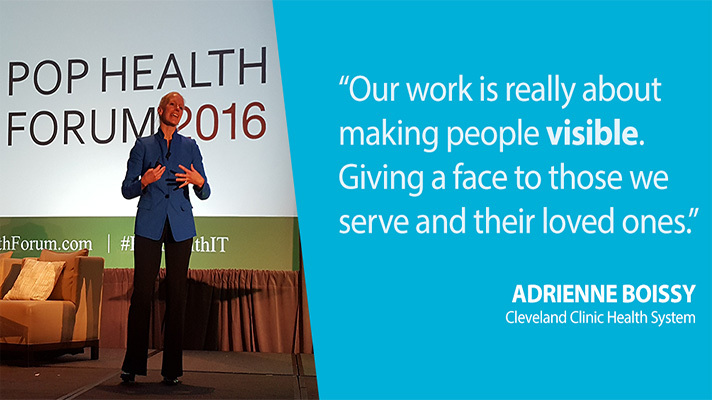 Chief Experience Officer Adrienne Boissy, MD, made the case that health apps alone are not a strategy – and in fact can hinder positive patient experience if they're not deployed wisely. 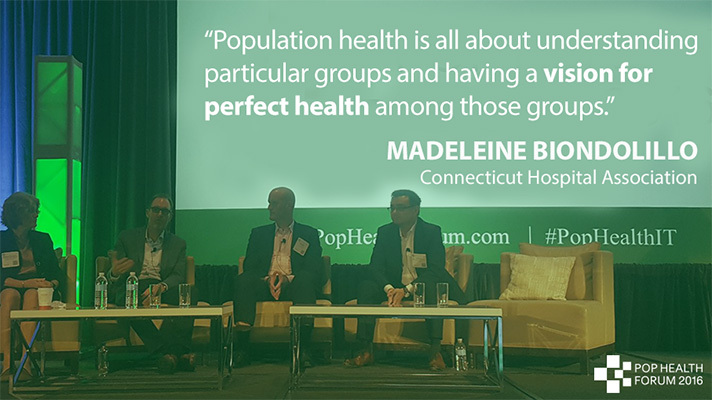 Madeleine Biondolillo, MD, of Connecticut Hospital Association was part of a panel discusing how hospitals are collecting data and how they can use it to advance patient care within existing confines of today’s healthcare systems. 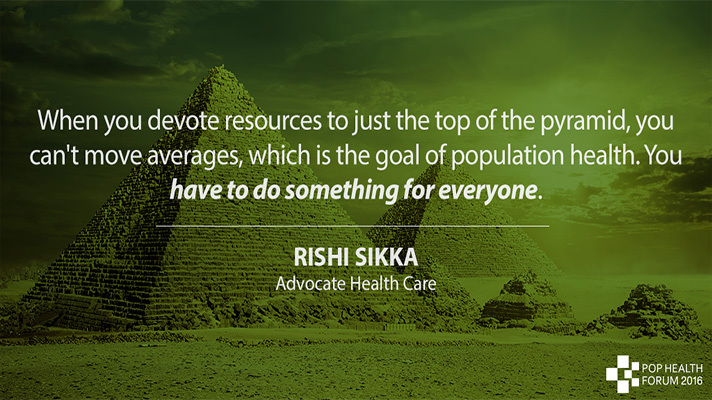 Read more: Population health is here, but can the care delivery system keep up? Advocate Health's eICU director Michael Ries, MD, said telehealth tools can improve outcomes and have financial benefits if managed properly. 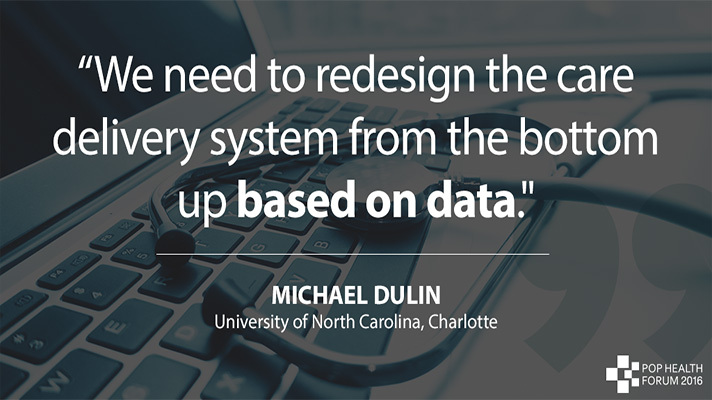 Michael Dulin, MD, director of the Academy of Population Health at the University of North Carolina Charlotte participated in a panel to talk about healthcare delivery system improvements. 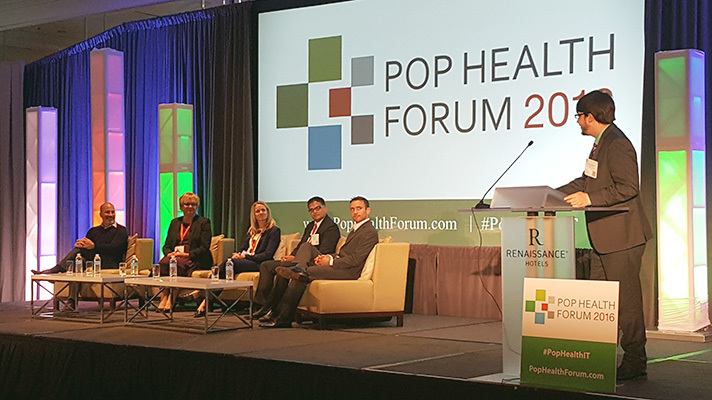 Frederick Muench from Northwell Health speaking at Pop Health Forum 2016 in Chicago. 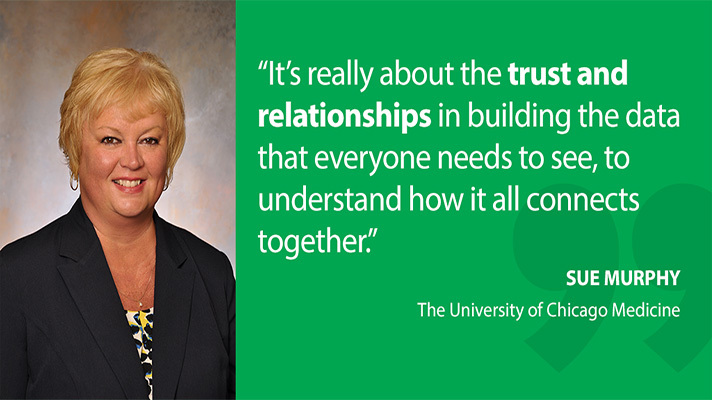 Sue Murphy from The University of Chicago Medicine at Pop Health Forum 2016 in Chicago. 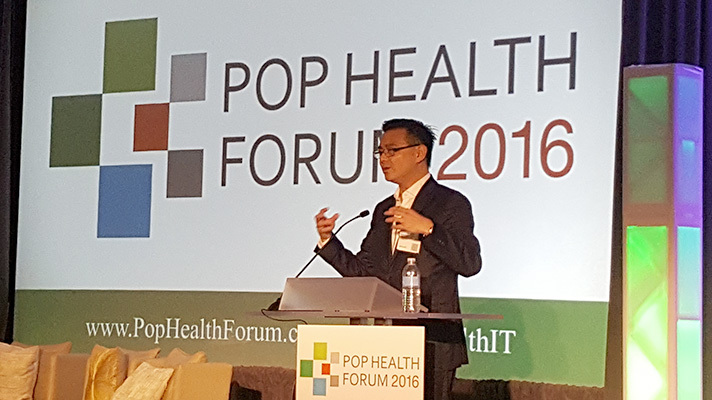 Rishi Sikka from Advocate Health Care at Pop Health Forum 2016 in Chicago.